The National Basketball Association (NBA) today announced the first-ever broadcasts of live NBA games in India during primetime. From March 11 – April 8, 2018, the NBA will schedule a weekly game for live primetime broadcast in India every Sunday at 10:00 p.m. India Standard Time (IST) on SONY SIX, SONY SIX HD, SONY TEN 3 and SONY TEN 3 HD. This builds on the league’s NBA Sundays campaign, a weekly live primetime game on Sunday evenings in Europe and Africa. The five games airing in India will feature some of the league’s biggest stars, including the Cleveland Cavaliers’ LeBron James, the Oklahoma City Thunder’s Russell Westbrook and the Philadelphia 76ers’ Joel Embiid. As part of the live broadcasts, the NBA and SONY SIX will host a series of pregame activities, fan events and viewing parties across Mumbai and Delhi. 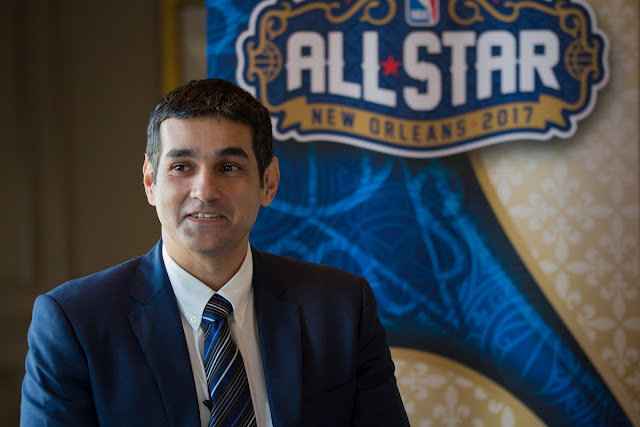 Additionally, NBA Around the Hoop, a localized NBA wraparound studio show hosted by a panel of Indian basketball experts, will air around all five live games. This marks the fourth season of NBA Sundays, a weekly primetime game on Sunday evenings in Europe and Africa. This season more than 25 regular-season and playoff games will be available to fans in Europe and Africa on Sundays during primetime. The NBA’s partnership with Sony Pictures Networks India (SPN) began in the 2012-13 season and includes more than 500 English and Hindi games each season. This season the NBA and SPN began broadcasting a package of nearly 100 live NBA games with Hindi commentary every weekend on Sony TEN 3 and Sony TEN 3 HD.